Fits in your pocket and catch the flag before for know it! Range 5-1450 Yards, Accuracy +/- 1 Y, 6,5 X optical magnification and a advanced pin seeking system! 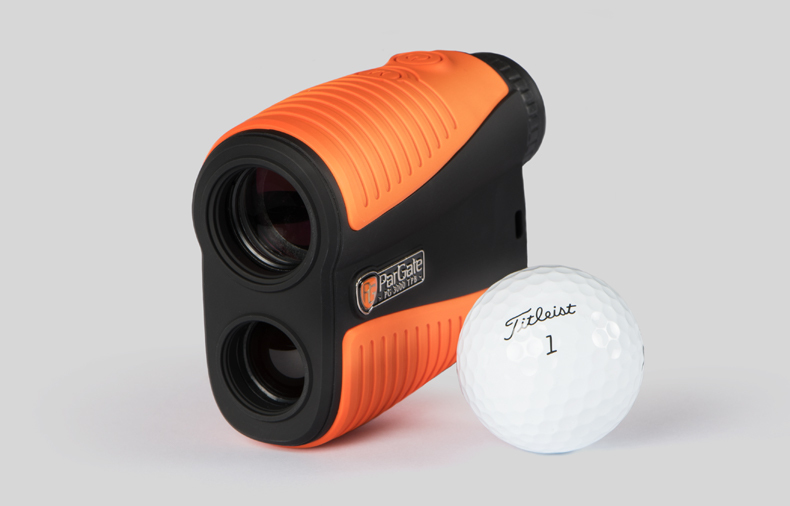 A top notch rangefinder!. 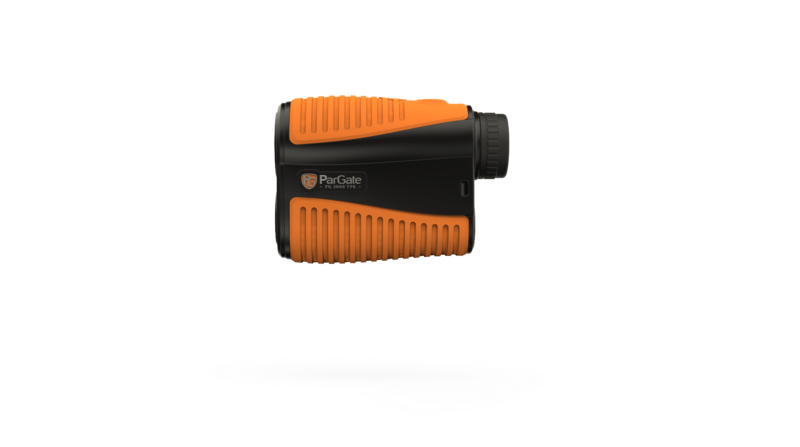 "Pargate 3000 TPB - An Excellent Rangefinder. Significantly easier to capture the flag in comparison to the competitors in the same price range." 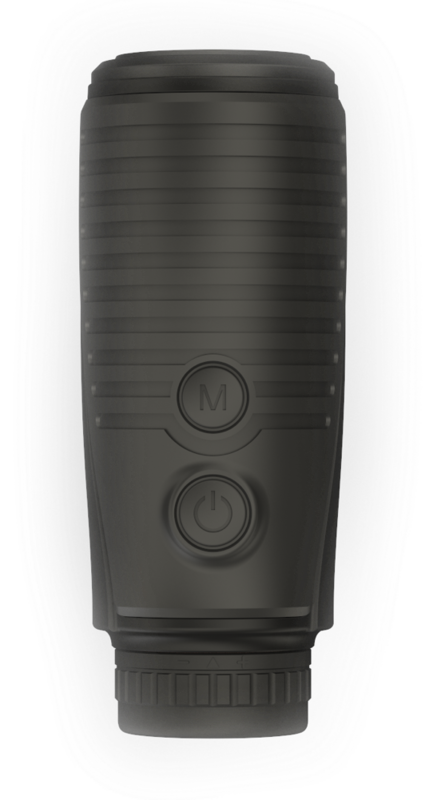 The product is equipped with an advanced pin seeking system – Target Seek PLUS, making it easy to capture the flag at long distances. No matter how shaky you are. The PG 3000 TPB model is waterproof IP class IPx3. No worries when playing in a rainy day. The PG 3000 TPB is our latest model, waterproof IPx3 and almost 1/3 smaller than its predecessor PG 2000 TPX, it’s extremely smooth and comfortable to hold your hand. It has a new CPU that is a lot faster than most other rangefinders and is also equipped with a bluetooth chip for connection to apps via BT 4.0. The battery life has been extended and the look and feel is taken to a professional level all the way. 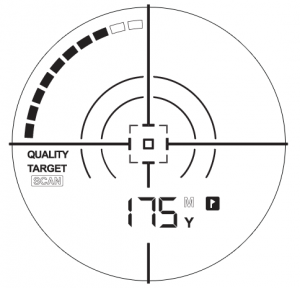 Pin Seeking System – Target Seek PLUS. The rangefinder is equipped with an advanced Pinseeking function that allows you to easily capture the flag at long distances. It’s terribly effective and no matter how shaky you’re on your hand, it’ll hit the target in a second. The fantastic range of 5-1450 yards, 6,5 magnification and the intuitive display together with the pin seeking system make the PG 3000 TPB a top notch golf rangefinder for any golfer from pro to amateur. All that to a price far better than most competitors with similar specifications. 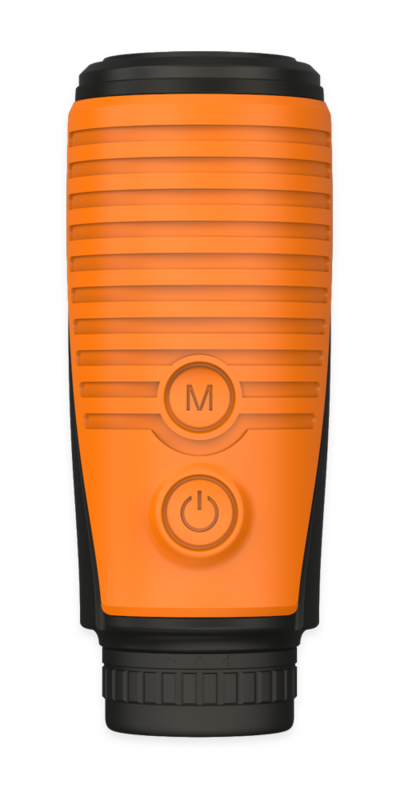 Ergonomic design, a nice hardcover case and practical accessories such as fastening strap, carabiner, belt fastener and cleaning cloth is all in the package as well as a battery. You get a 2 year warranty and the purchase include satisfied Customer Warranty. You have 30 days to try it out and if you are not satisfied we will refund the full amount minus shipping on return of the product. The rangefinder automatically detects the distance dynamically depending on what you’re aiming at. The PG 3000 TPB is equipped with an advanced pin seeking function that captures the flag easily and efficiently, no matter how shaky your hand is. All our rangefinders have a well designed LCD display with an intuitive view and large easy-to-read numbers. 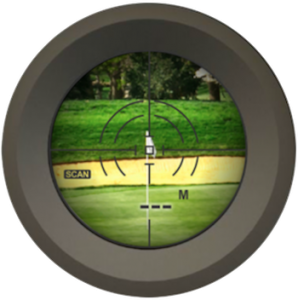 Choose between Yards and meters. Select by holding down the mode (M) buttonin three seconds immediately after the rangefinder is powered up.